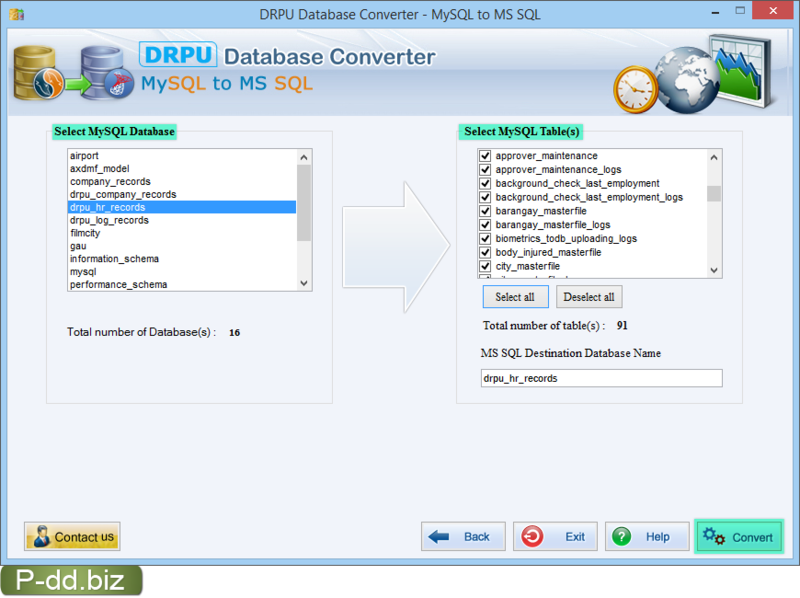 Select table attributes like convert table(s) definitions only, converting view, and skip converting indexes according to your requirement then click on “Next” button to continue. 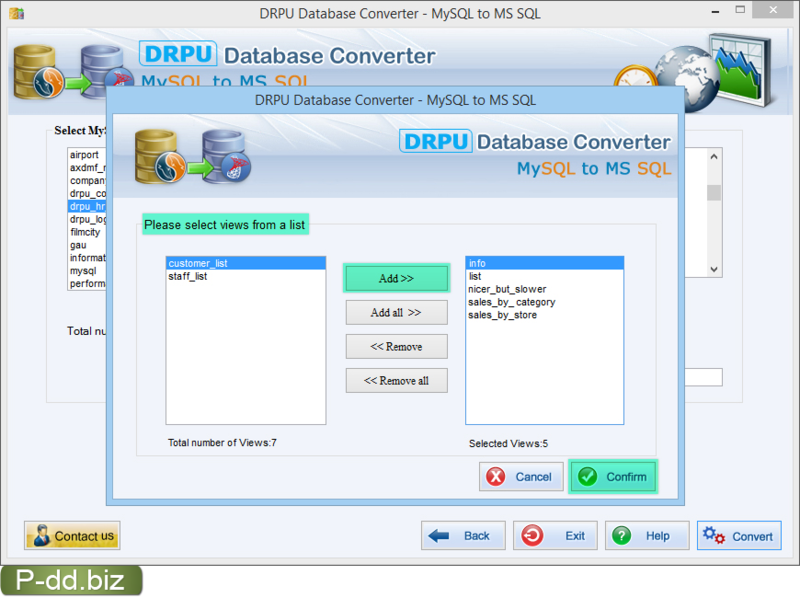 Select MySQL database and MySQL table(s) and the press “Convert” button to start database conversion process. Select views from list and press “Add” button to add in right side list box. 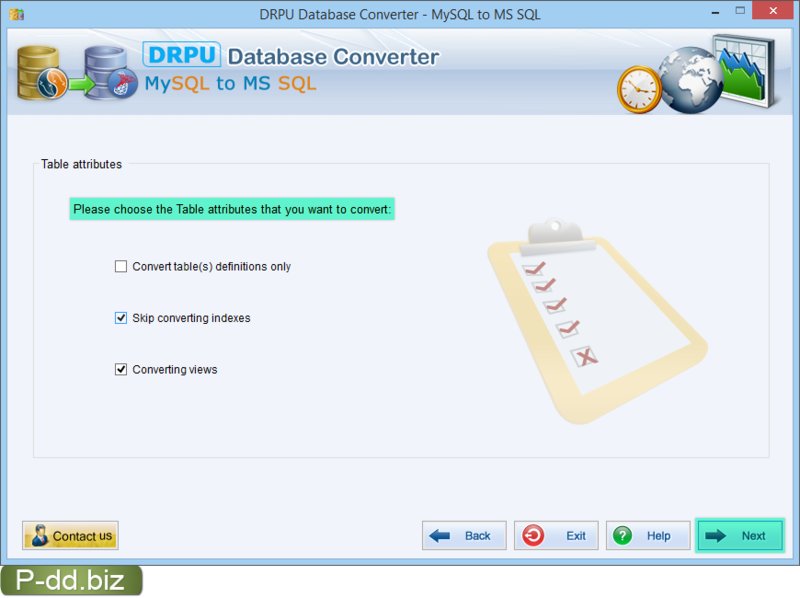 Now click the “Confirm” button to proceed. 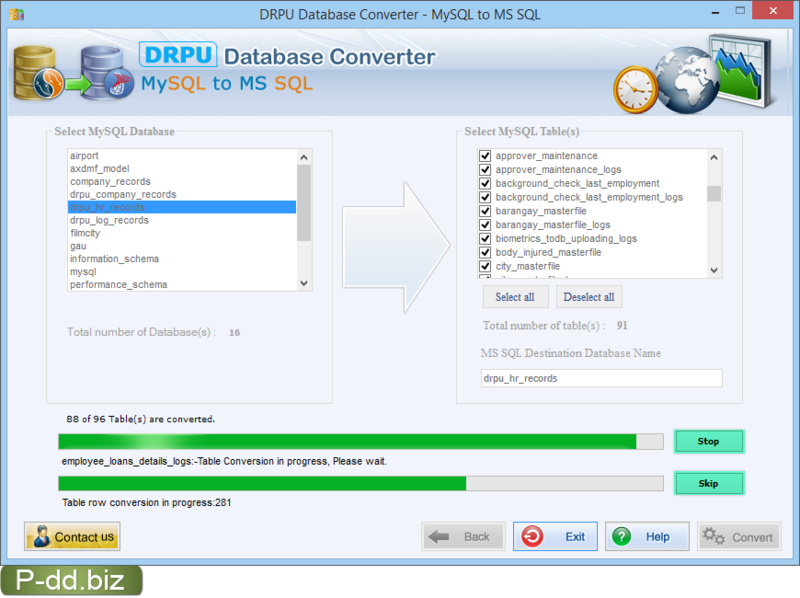 Progress bar shows database conversion process is going on. 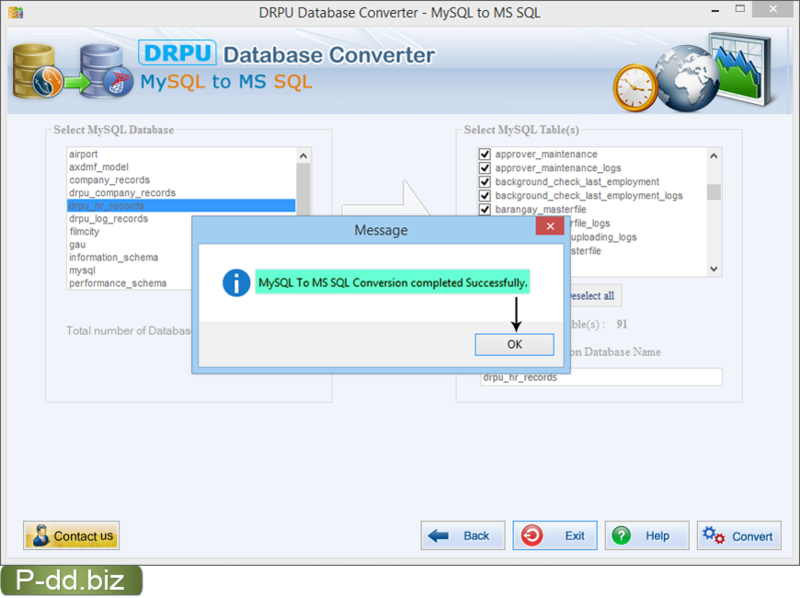 MySQL to MS SQL database conversion process completed successfully.